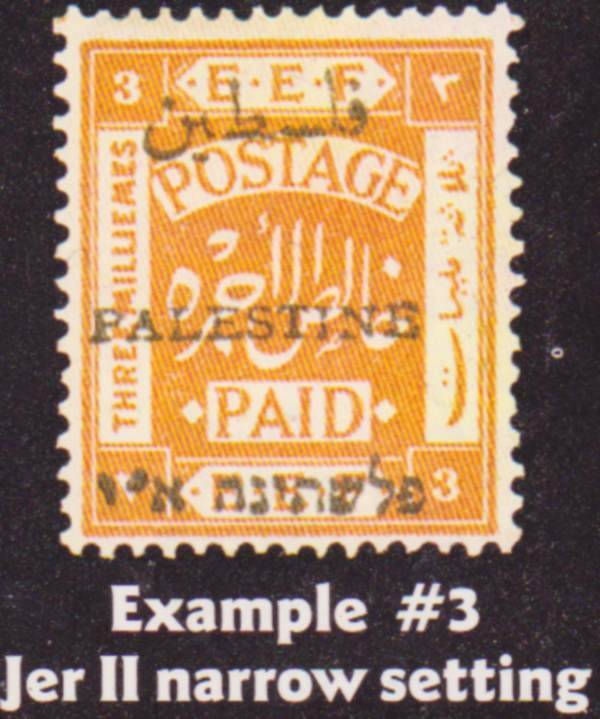 This guide to the identification of the overprints used on Palestinian stamps issued under British Administration in 1920-1922 makes use of 6 images and a series of questions to identify the overprint. Each image can be enlarged by clicking on the thumbnail. Q1. 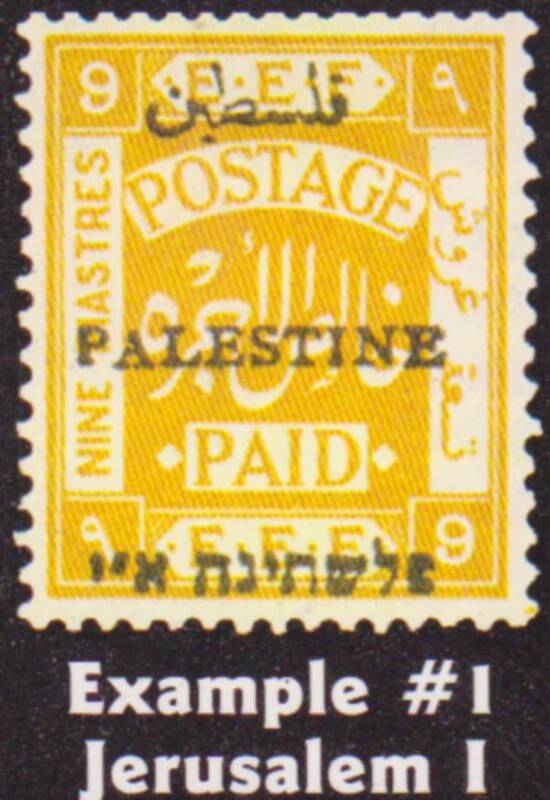 Does the English line "Palestine" have serifs on the letters? Q2. 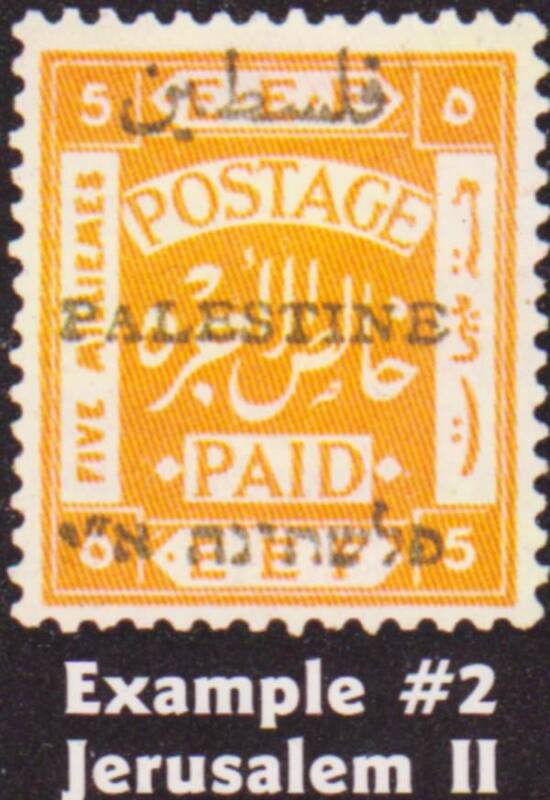 If the answer to question 1 was "a," is the Arabic line of the overprint short (8mm) or long (10mm) ? Q3. If the answer to Q1 was "b" no serifs, are the English letters in the overprint elongated and pointed or flatter and rounded? Q4. If the answer to Q 2 is "d" ( serifs on letters, 10mm Arabic), are the dashes between the two Hebrew letters on the far left above the other letters, or even with the other Hebrew letters? Q5. 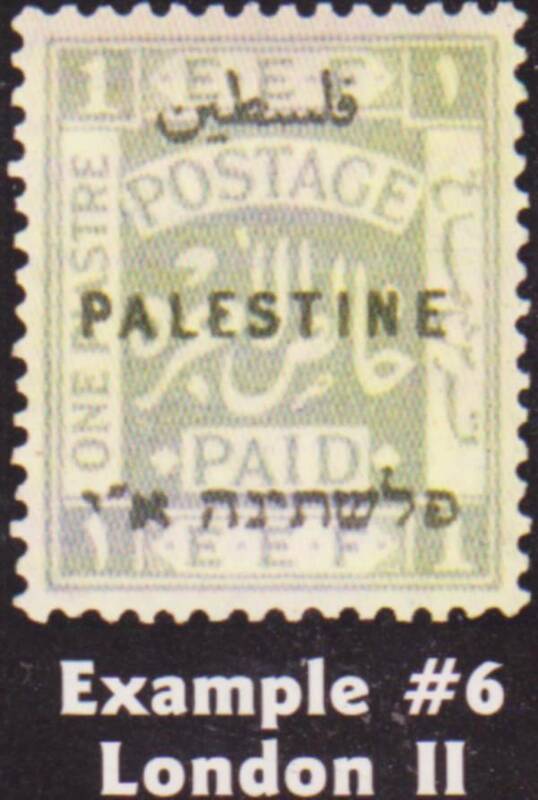 If your answer to Q4 was "g" (raised dashes) and your stamp is a 1mil, 3mil or 5mil value, is the distance between the Hebrew and English narrow (6mm) or wide (7+mm)? 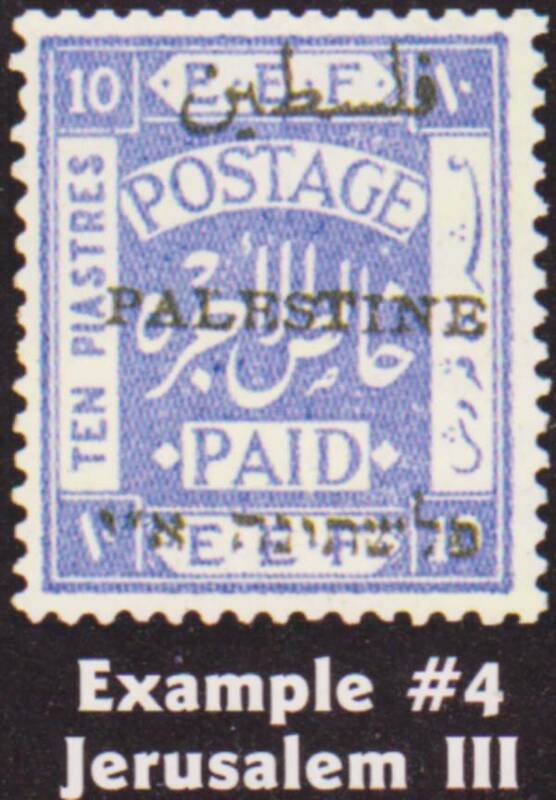 i:- If wide (7=mil), then your stamp is a normal Jerusalem II overprint. 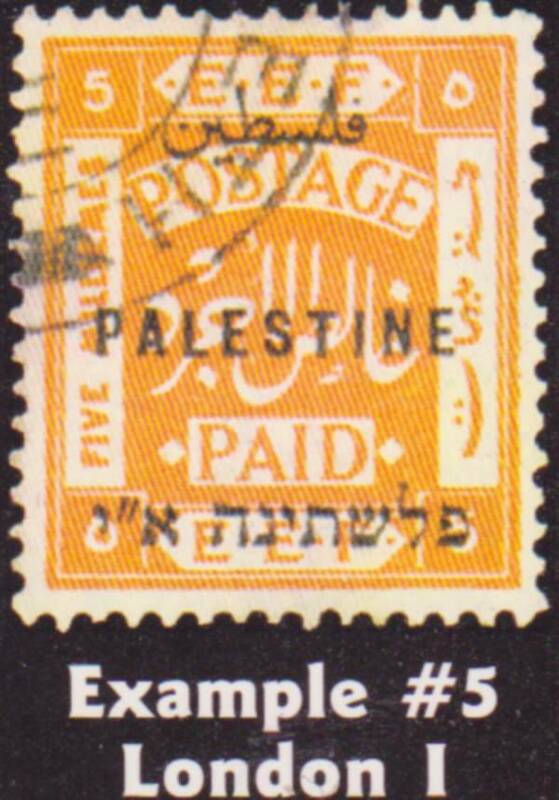 (Example #2) It narrow (6mm), then your stamp is a "narrow setting". (Example #3). Editor's Note: This is from a post on the eBay Stamps Chat Board made December 6, 2008.